Your health is one of the most fundamental things you should think about investing in as you continue to live life and take on more and more responsibility. Investing in it today can help you make massive savings in the future. As you reduce your healthcare costs you’ll also spend less time worrying, deliberating and becoming prone to illness, putting you in the driving seat for further saving in the future. As for investing in your health, it needn’t be too complicated. If you take a general approach, taking care of your sleep, diet and getting plenty of exercise, you’ll already be in good stead. If you’re looking for further budget-friendly ideas though, read on. Our eyes are one of the most important features of our body and something that a lot of us, given the amount of screen time we get, often take for granted. It can be easy to grow accustomed to the way your vision looks without realizing there is an underlying problem. Some eye conditions such as Glaucoma can’t actually be felt in its early stages. It is only until your vision starts to deteriorate that you will realise you have a problem, at which point the effects can be irreversible. Sites like World Through Your Eyes can provide an idea of what it is like to see through different prescriptions or more serious conditions such as glaucoma and macular degeneration. As I’m sure you can appreciate, your eye health should not be taken for granted. Taking care of your eyes is one of the better approaches you can take toward your health in general. The best way of taking care of your eye health is to book an eye test with a professional optometrist. An eye test will not only measure your long and short distance vision but also provide a eye health screening which can detect further underlying conditions including the most common diseases that effect the eye but also general conditions such as diabetes and high blood pressure. Typically, an eye test from a high street retailer can cost between £18-£30. You may also be eligible for a free eye test from the NHS. A small investment that can reap huge returns when you save on expensive eye surgery and other related costs later on in life. The chemicals in lots of modern day cleaning and skincare products can really be a hazard for our long-term health. Swapping these out for more natural products, or even buying ingredients and making your own, is a cheaper way to take care of your health while not losing anything in terms of effectiveness. Look for products in local health food stores if you don’t want to go down the DIY route. Otherwise check out how other people create their own natural cleaning and skincare products online. Another budget-friendly way to invest in your health involves tracking your movement using mobile applications. Start with the basic applications that measure the number of steps you take each day. From there you can graduate onto more complex ones that help with more strenuous exercises. You could also begin tracking and measuring your diet too if you want to go the extra mile. Perhaps the best budget-friendly tip for taking care of your health is to really hone in on what you put in your body and focus on providing it with all the nutrients it requires. Fresh produce is the best place to start and buying it in bulk is the best budget friendly tip we can give you. Other ways to shave the cost of your food bills is to shop at local farmers markets as well as buying frozen fruits and vegetables too. A final tip that’s absolutely free and won’t cost anything? Sleep. Sleep can really help boost your health, productivity and focus, as well as your happiness and overall wellbeing. Aim to get between 7-9 hours nightly if possible and see if you can make it all the more efficient by using earplugs, facemasks or lightly snacking on specific foods that can help you doze off. Being financially fit is only one part of the equation. 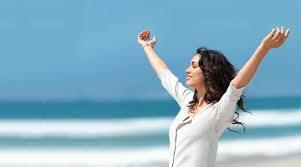 Total well-being also considers physically, mental and spiritual fitness. Great suggestions with respect to the physical aspect.